Homesteaders near and far, It’s time we come together! Folks all around Houston and the coastal bend need our help…. not just now, but long term. Hurricane Harvey and it’s aftermath have taken a devastating toll on those in its path. Friends, family, strangers, but most importantly our fellow Americans need us. This is one of our efforts to try and do our part. 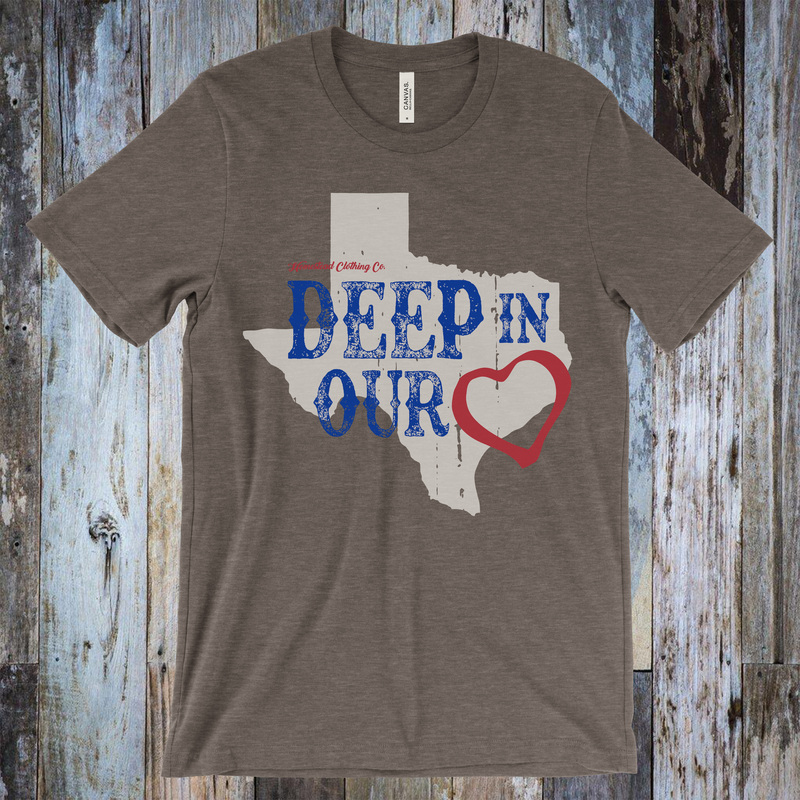 100% of the profit from the sale of this hurricane Harvey relief tee, will be donated to the Rebuild Texas Fund (rebuildtexas.org) and allocated for Harvey relief and recovery efforts. We may be from Oklahoma, but we will ALWAYS offer support to the greatest extent of our ability, wherever it may be needed. Please consider extending your hand to help South Texas emerge from this catastrophe. Together we can and will make a much needed impact in the lives of those who need it the most.